The FAA requires that the pilot in command of an aircraft give a passenger safety briefing to inform passengers of important items before taking off, including how to work the seat belts and when to wear them. If you want to give a professional and adequate passenger safety briefing, there are a series of items you should include. Learn how to brief passengers like a professional pilot, and you'll impress your check pilot and put your passengers at ease. As a bonus, when you provide a successful briefing from the beginning of your flight training, you'll transition easily to the next step in your flying career. As a pilot of small aircraft, you are mandated by the FAA regulation 14 CFR 91.107 to brief your passengers on seat belt usage, including how to latch and unlatch them, as well as appropriate times to use them. First, you'll want to instruct your passengers on how to adjust their seats for their comfort and safety. It isn't a requirement, but you will want them to be comfortable and safe. Per FAA regulation (14 CFR 91.107), a pilot in command can't take off without ensuring all passengers have been briefed on how to latch and unlatch the seat belt and shoulder harness if installed. Also, passengers must be briefed on when they must wear their seat belts. The phases of flight in which seat belts are required are taxi, take-off, and landing. 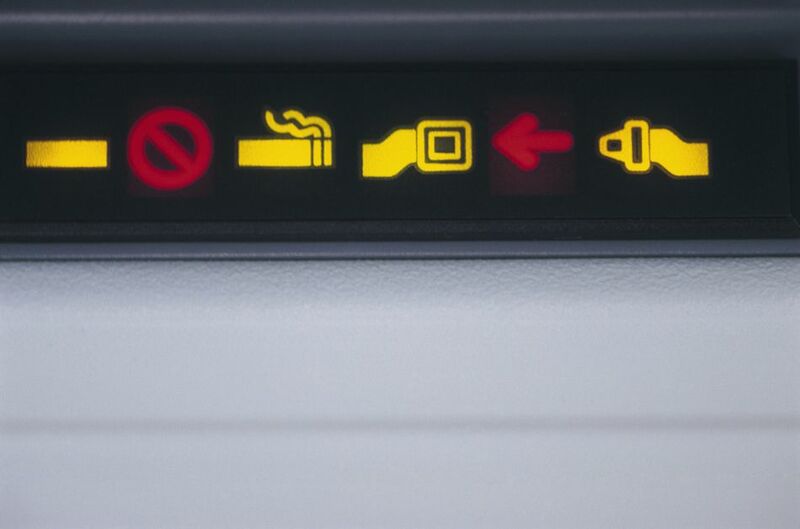 Smoking, including the use of electronic cigarettes, is prohibited on all commercial flights and most non-commercial flights. Passengers should be briefed accordingly. A professional passenger safety briefing will include telling your passengers how to operate the controls for air conditioning, outside air and/or heat. Proper ventilation is important for passenger comfort. You'll want to brief all passengers, especially new flyers, on the possibility of airsickness. Let them know that it's not uncommon and help them locate airsick bags in case they need one. If passengers are prone to airsickness, share with them some techniques to prevent and alleviate it. Knowing the location of the fire extinguisher is necessary, especially if it is located next to a particular passenger. Passengers should be aware of the location as well as how to operate the fire extinguisher in case a cabin fire occurs. Let passengers know what your actions will be in the event of a fire and how they might be able to assist. Perhaps you'll shut down the engine and operate the extinguisher while the passengers evacuate, for example. A professional passenger safety briefing will always include the locations of doors (and how to operate them) and exits. You can also brief passengers on the location of any survival equipment on board along with any other equipment they might be using during the flight, such as electronic hook-ups, in-flight entertainment systems, supplemental oxygen, etc. Passengers like to feel useful and involved in the flight sometimes, so make sure to ask for their help looking for traffic. They are an extra set of eyes and ears, so tell them to speak up if they see or hear anything unusual. A sterile cockpit is mandatory for Part 121 and Part 135 flights but is a good idea for any flight involving passengers. Tell your passengers when your duties will not allow for interruptions, such as during taxi, takeoff, approach, and landing, as well as anytime you are involved in radio communication with air traffic control. It's a good idea to give them guidelines, such as not distracting crew members below 10,000 feet. And don't forget to show them how to work their headsets and adjust the volume so they can hear properly. Always end your safety briefing by asking your passengers if they have any questions. They'll be more comfortable flying once you've addressed any concerns they might have. As the pilot in command, it's your duty to ensure your passengers are completely safe and comfortable with the flight.